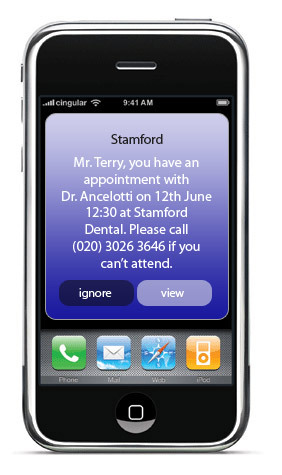 You can even include the individual dentist or doctor that the patient is booked to see – it’s totally up to you! 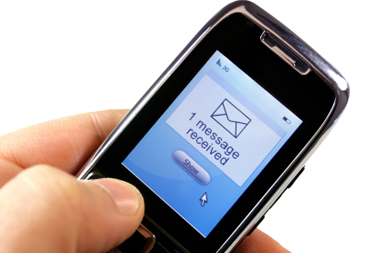 If you want to see how a message appears on your own mobile phone, simply text the word 'SMILE' followed by your dental practice - eg 'SMILE Kew Dental' - to our shortcode number 88600. You will receive a free sample of a message reminder for Wayne Rooney! If you text ‘SMILE RECALL’ followed by your dental practice – eg ‘SMILE RECALL Kew Dental’ to 88600 you will receive a sample of a check-up recall message for David Beckham.